That is a great list. I like "Roses are Pink, Your Feet Really Stink". I haven't read it (yet), but love the title! Love and Kisses looks so cute--also, is there a way to get your disclosure statement to automatically appear every time you post without having to retype it? Oh, Love Bugs is so cute! We don't have it, but we read it at a library baby reading group. I really liked it, and so did my kids. The "Your feet really stink" book looks great for valentines day. 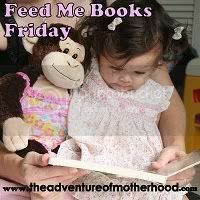 I'm also always looking for books for my mom, because she is a preschool teacher. It looks like a good one. Even it is too late in my time zone to read it before V-Day, I am going to have to check out "Roses are Pink, Your Feet Really Stink"! I am going to be chuckling over that title all day long! My mom got my daughter that first one and yes the rhymes are just delightful and she can't stop opening and closing it. Oh stinky feet! How cute! You've composed a really wonderful and informative post! Thank you! 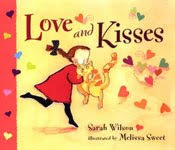 'Love and Kisses' looks right up our alley - thanks for the recommendations!